A little while back, I wrote about a recording by the East Coast pianist and poet Eliot Cardinaux, whose surreal poetry mixed intriguingly with his adventurous music. 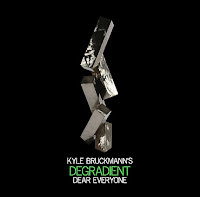 Well, here is a West Coast response - Kyle Bruckmann’s Degradient Dear Everyone. Prose is spliced into and throughout composer, educator and woodwindist Bruckmann's wide ranging music. The result is sometimes jarring, sometimes provocative, and always interesting. well played! Good Shepherd: come again? destitute constructions, federal theater.gametes, zygotes, genomes, DNA. 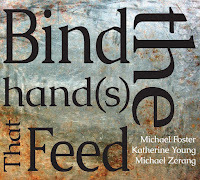 On the album, Bruckmann typically keeps the music and words separate, allowing the listener to enjoy the effects of their juxtaposition as well as savor the words themselves. 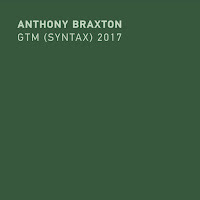 There are places where the two mix, such as on 'Poetry is Not Political', but it seems in these cases the text become textural, sounds in the music takes precedence, or a light motif underscores the words like on 'Overt, Sure'. The total number of readers reached 99, the full list can be found here. The music is performed by a quintet of Kyle Bruckmann on oboe, English horn, and electronics; Aram Shelton on alto sax, clarinet, and bass clarinet; Jason Hoopes on electric bass, Jordan Glenn on percussion, and Weston Olencki on trombone. They oscillate between free jazz, electronic sputter, avant-rock, and a somewhat classical aesthetic. 'Truncations, Deletions' is driven by an aggressive and punchy bass line. Functioning somewhere between percussion and melody, it urges the saxes along relentlessly. 'Excisions, Autocorrections' contains a muffled voice seemingly trying to escape from the track itself, it's a messy thing, but it readies the listener for the mash up of readers in 'Predictable Epiphanies'. 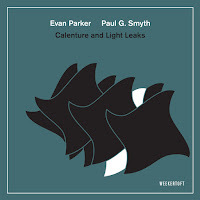 On this track, a sonorous solo bass clarinet solo punctuates the words before taking over, along with electronic chatter. Disc 2 opens with 'Theresrased', in which squirts of electronic sounds mix with a gentle classical melody. 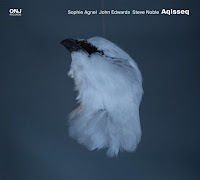 It segues into 'Incursive Recursions', and a thick melody from the trombone reverberates again the guitar, and screaming electronics mix delightfully in as the song lurches along in a heavy groove. The 'Next Message' begins with a blood curdling human siren call. Mixed with vocalese and readings, the cut up game begins again in 'Significant Details' with a voice asking 'is this advertising ... '. The sound snippets start picking up speed, running one into the other, different voices begin completing or rather continuing each sentences to unexpected completion ... 'pressure in the cabin? (New voice) never (new voice) slake a baby (new voice) never (new voice) interject (new voice) cocaine (new voice) beyond the Ohio and Costco ...', you get the picture, right? 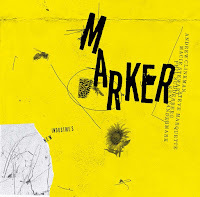 The net impact of this blend of acoustic and electronic, instrumental and textual, sprawling over the two CDs is delightfully discombobulating. It is tempting to make meaning from the snippets, as the jumble of words can be humorous, playful, and oddly precise, while the music is engaging. It's not an easy album to get into, but I doubt that is point - rather it's one that will pique your interest, tease your curiosity, and reward you on each listen.